Our 102,000 translators around the world will answer your translation request immediately. Conyac translates a broad variety of media including websites, games/apps, and white papers. We can handle not only standard business documents and manuals but also specialized items such as contracts, thesis, and technical content. What are Conyac Business translations? Conyac is a crowdsourced translation service with over 30,000 translators worldwide. Through crowdsourcing, Conyac can offer affordable, fast translations of emails, website localizations, and more. Japanese, English, Chinese (traditional and simplified), Korean, Thai, Indonesian, Malay, Vietnamese, French, German, Spanish, and many others. ※Please feel free to ask about our other available languages for translation. Translation requests are handled around the clock, 365 days a year. Conyac’s services are conducted over the internet, allowing our translators from around the world to handle translations requests any day of the year. Our global translators quickly translate, allowing for prompt deliver of your request. Website translation requests are only available to our higher level translators. All of whom are bound by our Non Disclosure Agreement (NDA), assuring you a secure translation and peace of mind when requesting. At US$0.015 for one character, are rates are roughly one fifth of our competition. Our rates remain the same, even for rarer languages such as Thai or Indonesian. In addition, it is possible to provide discounts and special offers when calculating your estimate. Due to the fact that websites are frequently updated, Conyac will be offering the Registered Glossary Function. When first requesting your home page translation you may register a list of proper nouns and set phrases, saving you the trouble of making specifications the next time you have a request. We offer multiple feature and options for your translation requests. From allowing you to assign a favorite translator from a previous request, to requesting a double check in order to assure the highest quality translation. 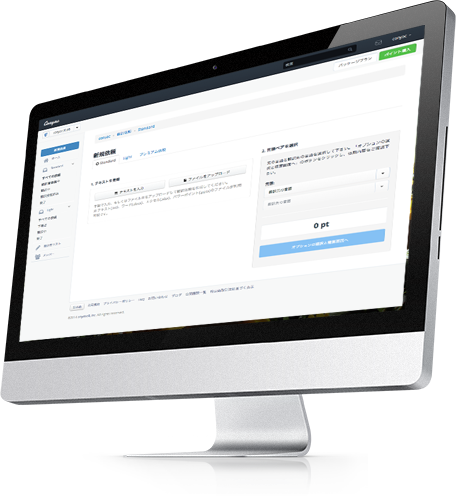 We can handle invoice payments for translation requests. Please feel free to inquire. In just four easy steps, a high quality translation will be ready for you. We provide an appropriate estimate and pricing plan to meet the needs of your company. Please feel free to inquire for a complementary estimate.